EPA) Office of Research and Development makes funds available via Regional Applied Research Effort (RARE) grants to EPA regions for research topics that are deemed to be of significant interest and/or impact to the region. Thomas B. Brackman, M.S., P.G., delivers the Geophysical Introductory Course to division staff. Photo by Kim Greenidge. 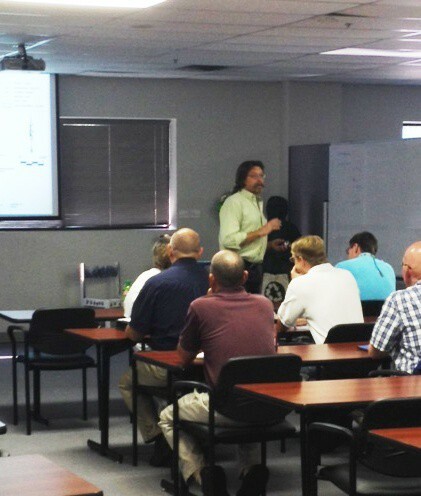 The Kentucky Division of Waste Management’s Superfund Branch, in conjunction with Northern Kentucky University (NKU), held a one-day course providing staff with practical information on the benefits and limitations of geophysical techniques on hazardous waste and underground storage tank (UST) sites. The course covered the application and methods of shallow environmental geophysics. It was designed for those with little to no experience or background in geophysics who could use it in the course of site characterization and remediation. 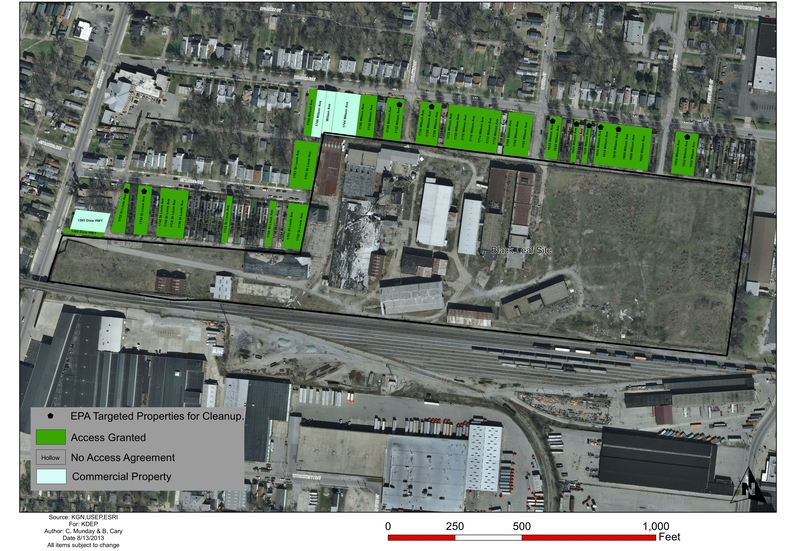 The Kentucky Department for Environmental Protection (KDEP) and the United States Environmental Protection Agency (EPA) will begin cleanup Monday, Aug. 19, at several residential properties next to the former Black Leaf Chemical site in west Louisville. This is the largest urban residential Superfund cleanup in Kentucky history. As time goes by and communities change, land use changes, too. 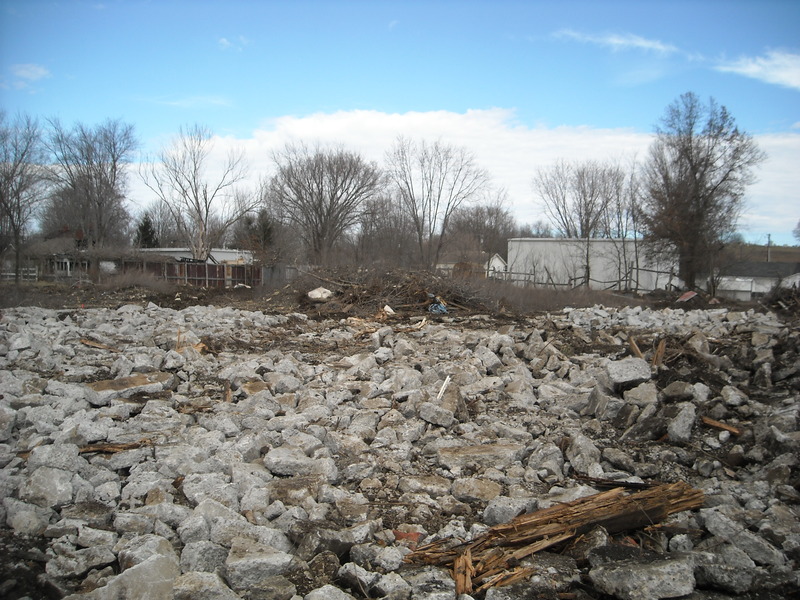 The City of Crab Orchard in Lincoln County, Ky., used to be home to the Lincoln Scrap Yard, a property that operated as an automotive scrap yard for many years. In 2005, it was donated to the City of Crab Orchard by Judy and Cecil King.